Hello readers of my blog “The Life and Times of a Second Call Studio Musician”. I finished writing this blog about my career as a studio musician in Los Angeles exactly six months ago to the day. December 4th 2017. I am resurrecting this project because I have just started a new record label called “Martonious Tunes”. When I left Los Angeles and moved to Massachusetts I opened up a small project studio and began producing local artists. Some of them had real talent yet their music has never been heard because of obvious marketing restrictions. I would make the recordings and marketing would be up to the artist. When I did my album “The Total Plan” back in 2014, I manufactured CDs and marketed my album through CD baby. Researching the current marketing environment I discovered a company called Tunecore that releases music digitally to all of the typical outlets, Spotify, iTunes, Rhapsody Pandora, etc. A bit of history on this first release. 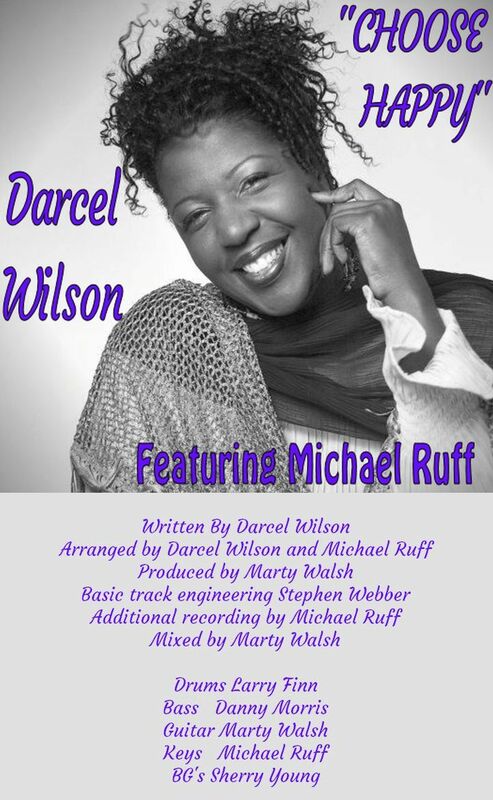 In 2011 I was fortunate to be able to produce some “basic tracks” for vocalist Darcel Wilson who teaches at the Berklee College of music. One of the songs titled “Choose Happy” really stood out to me. Recorded by my colleague at Berklee, Stephen Webber, the band included Larry Finn on drums, Danny Morris on bass, Sherry Young on background vocals, and my good friend Michael Ruff on keyboards. After we recorded the basic track Michael did his keyboard overdub “magic” and completed the production. I mixed it and gave it to Darcel but nothing else happened and it was never released. So I am proud to announce on June 8, 2018 the first release on Martonious Tunes Records, “Choose Happy” by Darcel Wilson. After it’s release I will be posting links to where you can find it.